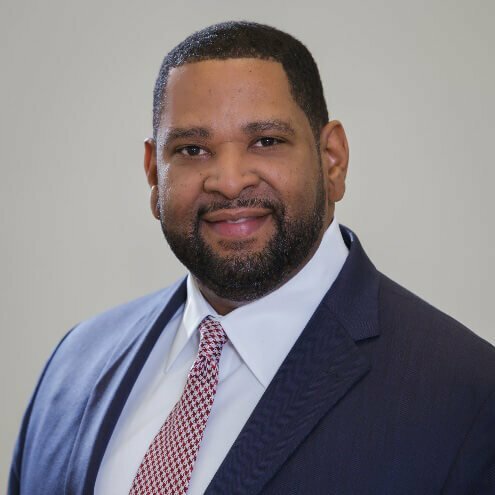 Keith J. Sellars serves as President & CEO of the Washington, DC Economic Partnership (WDCEP), a public-private partnership dedicated to promoting business opportunities throughout the District. During Mr. Sellars’ time at the WDCEP, he has undertaken attracting retail and restaurants to the District of Columbia and managed business development programs for the organization. He has successfully led initiatives that have attracted both national and local retailers to the District of Columbia including Target, Best Buy, Harris Teeter, Trader Joe’s, Apple, Whole Foods and Costco, and has led the city’s effort’s over the past 5 years in promoting the DC’s Tech and Creative economies with the WEDC Campaign at SXSW Conference, as well as playing a significant role in developing the structures that have made the WDCEP a successful organization. Under his leadership, the capacity of WDCEP has doubled with the annual budget increasing from $500K to $4.8 million through increased fundraising efforts. He has also increased WDCEP engagement of tech sector programming initiating a tech start up mentor program, Accelerate DC, which launched at the end of 2013. WDCEP has also established integral partnerships with city government and organizations under his guidance including Bohler Engineering, Capital One Bank, Edens, Holland & Knight, JBG Smith, K&L Gates, Microsoft, Roadside Development, StreetSense, PEPCO, United Bank, Urban Atlantic, Washington Gas, and Comcast. Mr. Sellars’ professional career includes 13 years with Whole Foods Markets, the country’s largest natural foods supermarket where he opened and managed stores throughout the United States, including California, Texas, Illinois, Wisconsin, Minnesota, North Carolina and Washington, DC. Mr. Sellars’ experience also includes working with The Rappaport Companies of Mclean, Virginia, where he managed a shopping center portfolio of more than 700,000 square feet in and around the Washington metropolitan region. Mr. Sellars has been recognized within the District government and the greater business community, and was most recently recognized as a Minority Business Leader by the Washington Business Journal. His professional associations include the International Council of Shopping Centers, Urban Land Institute, DC Building Industry Association, African American Real Estate Professionals (AAREP) and International Economic Development Council. He received his BA degree in Public Administration and Geography from North Carolina Central University and is a graduate of the Real Estate Apprenticeship Program (REAP).